Tixilo.com is an online car rental booking service which offers reliable, timely and safe cab services at highly competitive prices. We have been serving in cities like in Delhi, Jaipur, Jodhpur, Ahmadabad, etc., from past 10 years and successfully offering excellent taxi services to both the residents and tourists. We truly understand that taxi is an iconic part of life in different cities. It is the most preferred mode of transportation for those who don’t own a vehicle or find it impractical. Our car rental service is a complete lifesaver for visitors as we make their travelling trouble-free. We get everyone moving faster through our network of car rental partners across different cities. As a Technology, we provide fast, secure and efficient taxi booking – local (In City), outstation and regular/selected one-way taxi. We have an excellent network of trustable Transport Taxi Service Provider who have immaculate service and are the friendliest in the business. 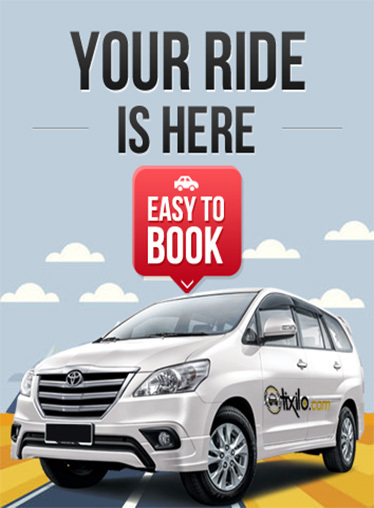 Book your taxi online in just a few clicks. We will definitely please you with our quality and timely. Just hop in and enjoy your day!! !